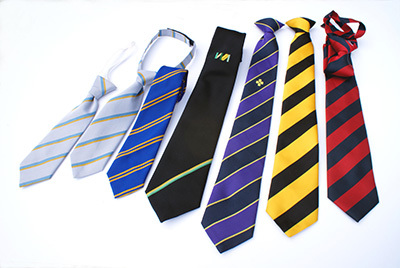 All our Prestige Range of ties are woven and sewn in the UK. Any design can be manufactured. All our ties are specially sewn with stronger stitching at the join. Logos can be jacquard woven into the designs.